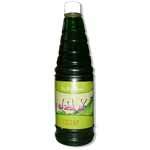 We are reckoned as one of the preeminent Rose Syrups Manufacturers and Suppliers in India. The array of the Flavored Syrups offered by us includes Chocolate Syrups, Kala Khatta Syrup, Khus Syrups and Rose Syrups. These are marketed under the brand name JAY that reflects the genuineness that is unsurpassable. Meeting the exact expectations of the clients, the company has also positioned amidst the well-reputed Chocolate Syrups Exporters. Additionally, the Flavored Syrups are hygienically packed ensuring presence of zero taste & color additive. 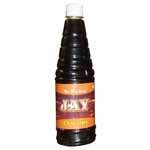 We are looked upon as one of the eminent Organic Chocolate Syrups Exporters from India. The Chocolate Syrups is processed using premium quality chocolate avoiding use of artificial colors and taste enhancers. 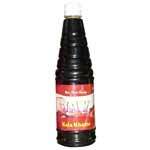 Additionally, Chocolate Flavored Syrups are available in hygienic packs free from external contaminants.